And yet, that dude seems to be whom Neil wrote “Last Dance” for. 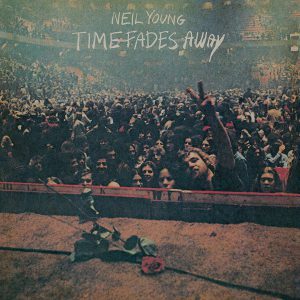 “Last Dance” is one of the heavier songs in Neil Young’s canon, at least musically, as it features a repeating, near metal riff — Tony Iommi would have been happy to come up with it — running throughout the length of the song, usually showing up during the chorus, which at first seems to be all about the rock and roll dream, before it pulls the rug out from underneath. 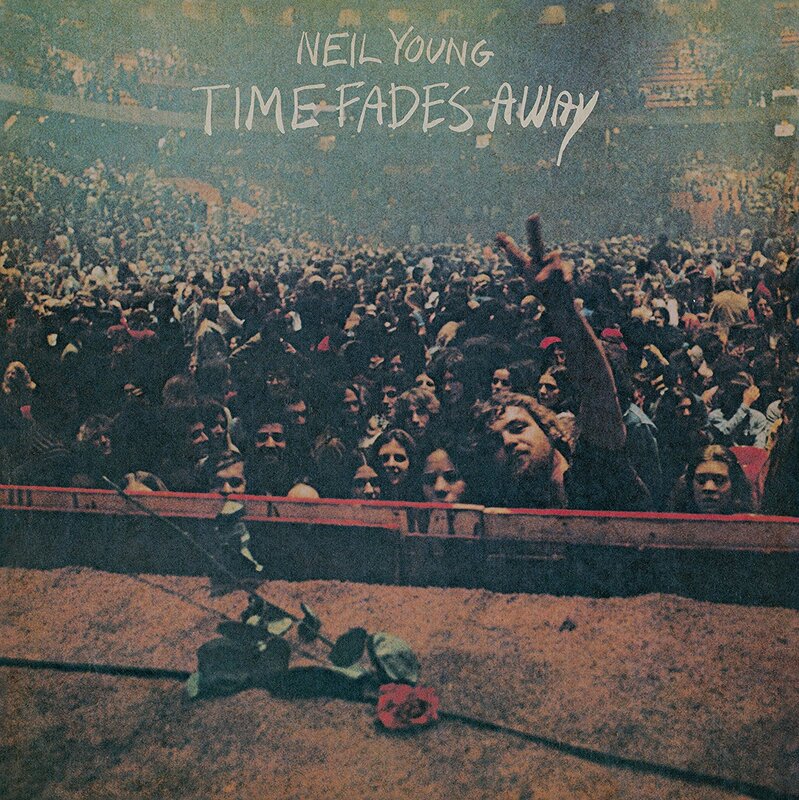 After the second chorus, Neil pulls out the only long guitar solo on Time Fades Away, weaving and wandering and meandering around the rest of the band and leading into the bridge where he sings about the real life of that peace-sign giving dude on the album cover. And the sun’s comin’ up. The way Neil songs “hours and hours and hours” is one of the more surrealistic moments in his music: he’s so disconnected from what he’s singing about, his voice fading up and out, as he sings about something he’ll never have to experience. And then the metaly riff comes back again: drummer Johnny Barbata riding it strong with his snare drum, the whole band leaning hard into it, as they sing the chorus one last time, the illusion of freedom once again taken away. You can live your own life? No, no, no. Near the end of it, Neil rides on top, moaning “negative” a couple of times, until they slam back into the riff one last time, Neil even sneaking in one last quick solo until they stop. “Last Dance” is one of those songs that doesn’t really have any peers in Neil’s catalog: most of the thick-riffed songs he wrote later were much shorter, and didn’t alternate between fuzziness and hyper-focus the way that “Last Dance” did. But as a song that set up the even weirder (though less heavy) songs from On The Beach and Tonight’s The Night, it was a great signpost.